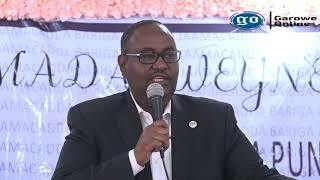 MOGADISHU, Somalia – The embattled speaker of the Lower House chamber of Somalia’s Federal Parliament, Mohamed Osman Jawari formed a committee for talks to end the current political stand-off, Garowe Online reports. 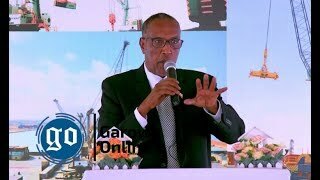 The speaker has announced the 8-member team consisting of Mohamed Omar Iymow, Liban Osman Abdirahman, Dr Abdifatah Ismail Dahir, Hassan Abdi Ismail, Ahmed Moallim Fiqi Ahmed, Fawzia Mohamed Sheikh, Mohamed Sheikh Abdirahman and Amina Hassan Ali. 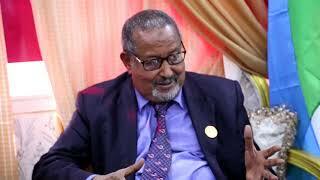 The appointment came after the opposing sides within the parliament agreed to begin talks to seek a way out of the deepening political deadlock besetting the Horn of Africa country. 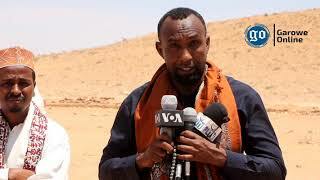 The anti-Jawari camp led by the first deputy speaker Abdiweli Ibrahim Mudey is expected to form a similar committee to represent their side in the upcoming talks. 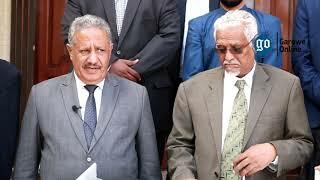 This move coincides with efforts to convince Jawari to quit before next session or give the green light the motion to proceed in Parliament. Last week, the speaker has strongly rejected calls by the government leaders to resign. The ongoing political crisis emerged after Federal legislators tabled an impeachment motion against the speaker in March, blaming him for violating the constitution and being an impediment to parliament procedures. There have been allegations linking the office of the Prime Minister to the proposed no-confidence motion aimed at ousting the long-serving speaker, who has been in office has been the Speaker of Parliament since August 2012. Additionally, the MPs plotting to impeach the speaker of the Lower House have to secure the two-thirds votes of 184 parliamentarians needed to oust him, according to the country’s provisional constitution. In March, the International community voiced concern over the Political turmoil and urged leaders in Parliament and the Executive to engage in respectful discussions and use constitutional and peaceful means to resolve the stalemate.